Xojo is not Visual Basic, but it is familiar to Visual Basic developers. Xojo is object-oriented, but it is not the complex language that C# has become. It truly is the best of both worlds. When you choose Xojo you get to keep the simplicity of languages like VB that were so popular, fun and beloved, but you get modern object-oriented features that allow you to make desktop, web and mobile apps for today. Not every company needs an IT department with a development staff in the hundreds. 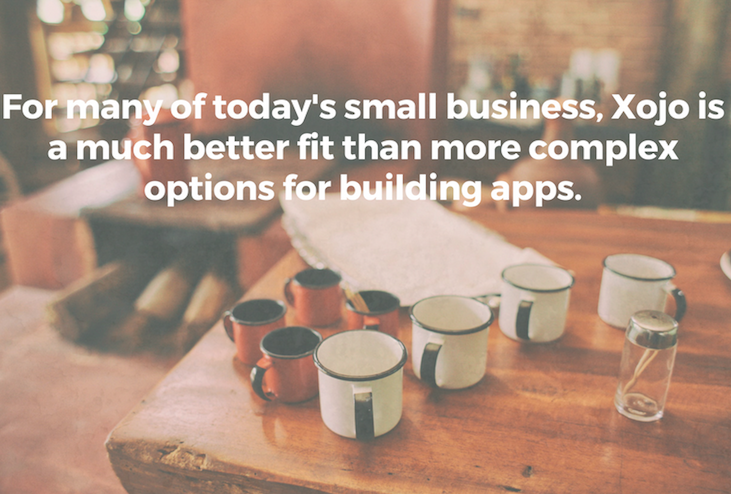 For many of today’s small business, something like Xojo is a much better fit. When deciding what you’ll use to make your apps, remember you have choices outside of development tools like Visual Studio and C#. Xojo is fast, fun and affordable with an active, friendly user community and lots of free resources to help developers of all experience levels develop their apps. For more information about how to switch from Visual Basic to Xojo, check out Migrating from Visual Basic or watch the Migrating from Visual Basic webinar, where you can see how a small VB app was recreated as a Xojo app. Download Xojo and try it for yourself. See how quickly your company can start making its own apps.